The altitude app on my smartphone keeps adjusting. It was set in feet: the 2,000 mark replaced by 2,500, then 3,000 — and the two lanes of the E80 still reached up and beyond in the distance, trucks lumbering heavily in the slow lane to their destinations in the north of Spain. Here, where Madrid is a good 300km to the southeast, the Bay of Biscay is 200km to the north, and where the north of Portugal meets Spanish Galicia less than 200km to the west, is the heart of rural Spain. The road keeps rising, past 3,500 feet, past 4,000. 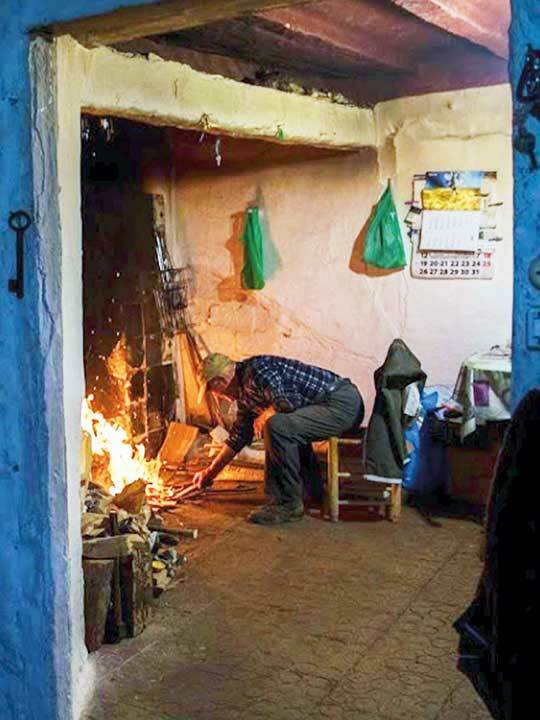 The distant fields and sparse villages of the Quintanar de la Sierra range have given way to sparse pine forests, where only the occasional cluster of houses struggle to form hamlets — and even they give way to a broken house here and there. This is a land full of beauty but empty of man or the animals they farm, save for the mountain goats that cling to the hillside as the altimeter tops out at 4,316 feet. Across the wide valley below and the mountains far in the distance, where beyond that Bay of Biscay beckons, it is a Spain hollowed out, largely deserted, its people mostly moving to the cities. Here, near Burgos, radiating out over hundreds of kilometres, is the heart of what is becoming known as “Empty Spain”. Out of 8,125 places officially classified as villages and towns in this nation of 46.5 million people, nearly 5,000 carry a very high to moderate risk of being completely depopulated by the end of 2030, according to a study carried out on the results of the official 2016 census by Spain’s National Institute of Statistics. And the figures are alarming — the 4,995 villages and towns at risk are losing their population at the rate of five people every hour. And the people that remain are ageing, with the young leaving to find work in Spanish cities. 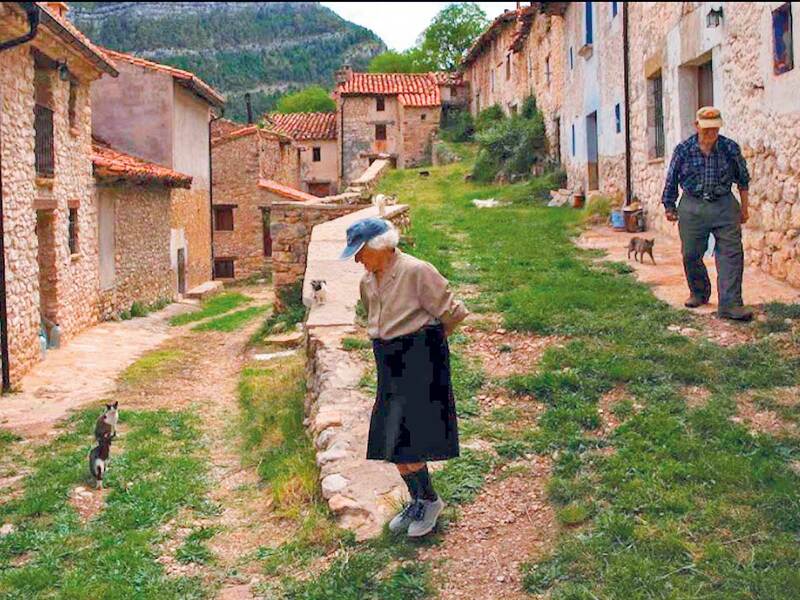 For more than 30 years, Juan Martin Colomer and his wife Sinforosa Sancho have lived alone in La Estrella — a village in the eastern highlands that was once home to about 200 neighours, friends and family members and children. “Everyone has gone, we are the fools who have stayed,” laughed Sinforosa, who turned 85 recently, sitting on the steps of a pink-fronted building that was once the local boys’ school. Nestled in a valley in the northeastern Aragon region, where pollen drifts over pine trees that have gradually spread across the formerly arable land, the village is at the centre of a creeping population desert. Residents began abandoning these rural towns and villages to seek work in cities when Spain’s three-year Civil War ended in 1939, with General Francisco Franco as dictator and in power until his death in 1975. The result of this depopulation is that Spain now has an area twice the size of Belgium that is the least populated in the European Union and its more than 500 million people. Only Lapland, an area of northern Finland high in the Arctic Circle, where there are two months of constant darkness and temperatures remain deep below the freezing mark for a third of the year, has fewer people per square kilometre. Here, it’s a density of fewer than eight inhabitants for every square km, and those who remain are ageing — a society where across Spain deaths outpaced births last year at the fastest rate since records began in 1941. The report from the National Institute of Statistics says that the depopulation crisis has reached a tipping point and its effects are spreading. It warns that there are approximately 2,600 villages or town council districts — ayuntamientosas they are called in Spanish — where there are less than 500 inhabitants. And almost one ayuntamientoin in five have less than 100 people living there. The ayuntamientoof Molina de Aragon, not far from where the E80 reaches its peak in northern Spain, has the lowest density. Across Europe, only Siberia has fewer. With just over 1.5 people per square km, it’s Spain’s most empty and affected municipal district. What’s actually surprising is that the rural population of Spain slightly increased between 2000 and 2010, but since then it has declined to the point now where 53 per cent of Spain’s land contains only 5 per cent of its population, according to a study from CEDDAR, Spain’s Research Centre of Depopulation and Development of Rural Ayuntamientos. That figure of 2,600 ayuntamientos identified with less than 500 inhabitants last year is an increase of 48 more than in 2015, and 358 more than in 2000. The depopulation trend is even affecting the restive province of Catalonia which is seeking independence from the rest of Spain. There, in the ayuntamiento of Santiago de Frontanya Bergueda in Catalonia, there are just 27 people living there. Depopulation is exacerbating economic disparities — the less people living in an ayuntamiento means the less money it can raise in taxes, and the less clout it has politically as it is forced to compete against bigger centres of population. It is also means it’s much more costly to provide essential public services for an ageing and dispersed population, explains Sanchez Quero, president of the Spanish Federation of Municipalities and Provinces. His organisation has called for a national action plan where the Spanish government and every other level of administration works together with those at the provincial and in the ayuntamientos. It’s also a political issue, with tens of thousands of Spanish citizens from rural areas taking to the streets of Madrid in a protest against depopulation and the lack of infrastructure in their regions. The protest drew an estimated 100,000 and was coordinated by nearly 85 grassroots organisations who wanted to make their point before Spain’s general election on April 28. “There is a lack of public services and little attention from the administration — there is also an important digital divide,” said Juan Manuel Polentinos Castellanos from the Confederation of Rural Development Centres, a group that was one of the organisers of the protest in Madrid. “There are many problems that policies are not solving but rather deepening, hence the revolt of empty Spain that seeks to revitalise rural areas, providing them with opportunities and allow people who want to live there to do so in the same conditions as in big cities,” he told Euronews. Polentinos said these territories need public services, taxes and specific legislation, different from what exists in cities. “It cannot be the same for Madrid as for a town of 100 inhabitants,” he said. If these requirements are met, Polentinos believes that many people will move to rural areas. His group launched an initiative last year to attract people to depopulated areas. Its website, volverapueblo.org, lists available homes, lands and business to help those who want to move back to rural areas. The only string attached is a desire to live there, and his group has helped around a hundred families move back to rural areas over the past decade. And there are other initiatives that are trying to help reverse the drain, like the Caravan of Women, set up by Monolo Gozalo and his partner Venecia Alcantara in 1996. They organise dinner dances in remote village and dying towns, bussing in single lonely women from the big cities of Madrid and Barcelona. So far, it claims to have around a hundred couples that are together now as a result of these monthly social evenings across rural Spain. It’s an initiative that changed the life of 52-year-old farmer Antonio Cerrada, for example, who told his story to the BBC. 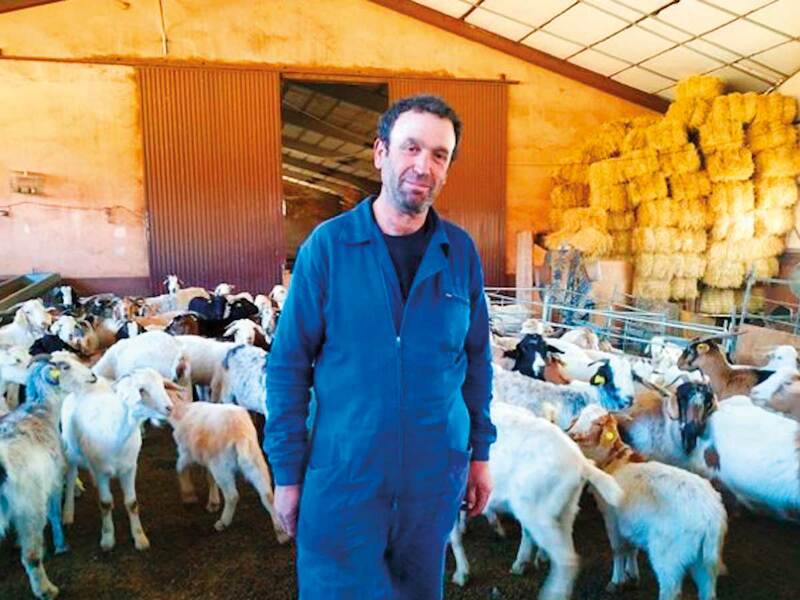 Just as his father and grandfather did, Cerrada tended to his goats in the village of Pradena de Atienza. It’s home now to fewer than 10 people but he never wanted to leave. Antonio read the Caravan was coming to a restaurant in a village nearby, he dumped his overalls, scrubbed up, and headed out. Maria Carvajal, a Colombian living in the capital, was the last to get off the bus. Antonio was relieved that Maria took to the almost-empty village immediately. That was six years ago. Now there’s little Antonio toddling around the farmhouse. 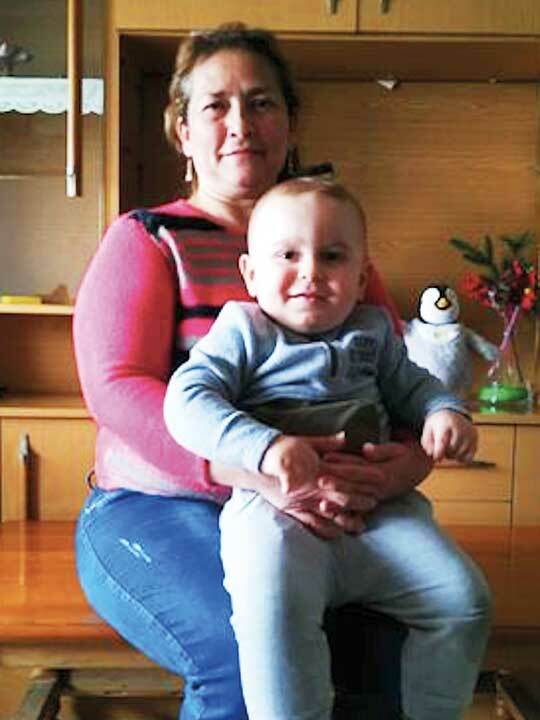 Back in that empty village of La Estrella, Juan Martin and Sinforosa’s son Vicente was the last child to live there, and he had to go to school in a nearby village after the local teacher left and his school closed. “If there are no children, there is no life,” said the 84-year-old Juan Martin. The elderly pair live on a pension of about €1,200 (Dh5,000) a month between them. They keep rabbits and hens for meat and eggs, and drive to a nearby town to buy other food which they cook on a butane stove or their open fire. Until 10 years ago they relied on oil lamps for the rare occasions they needed artificial light, but now they have solar panels to provide electricity. “We have never had a telephone line, and there is only a mobile signal in the cemetery,” Sinforosa said. Neither misses society, and despite owning a house in nearby Villafranca, they only go there to visit Vicente and his family.